In the 18th century attempts were made to obtain full political and civil liberties to British and Irish Roman Catholics. 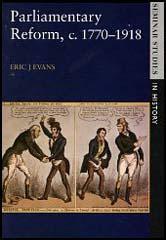 In Ireland, where the majority of the population were Catholics, the Relief Act of 1793 gave them the right to vote in elections, but not to sit in Parliament. In England the leading campaigners for Catholic emancipation were the Radical members of the House of Commons, Sir Francis Burdett and Joseph Hume. By the beginning of the 19th century, William Pitt, the leader of Tories, became converted to the idea of Catholic emancipation. Pitt and his Irish Secretary, Lord Castlereagh, promised the Irish Parliament that Catholics would have equality with Protestants when it agreed to the Act of Union in 1801. When King George III refused to accept the idea of religious equality, Pitt and Castlereagh resigned from office. In 1823 Daniel O'Connell founded the Catholic Association to campaign for the removal of discrimination against Catholics. In 1828 he was elected as M.P. for County Clare but as a Catholic he was not allowed to take his seat in the House of Commons. To avoid the risk of an uprising in Ireland, the British Parliament passed the Roman Catholic Relief Act in 1829, which granted Catholic emancipation and enabled O'Connell to take his seat.